Ride 'em, Mario! 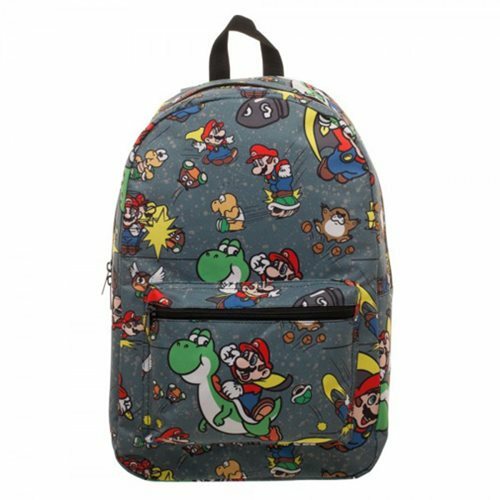 Mario riding Yoshi and a gang of other characters and images cover this colorful Super Nintendo Entertainment System Mario Sublimated Backpack that features an outside handle and a front pocket. What a fun way to carry your stuff! Ages 14 and up.